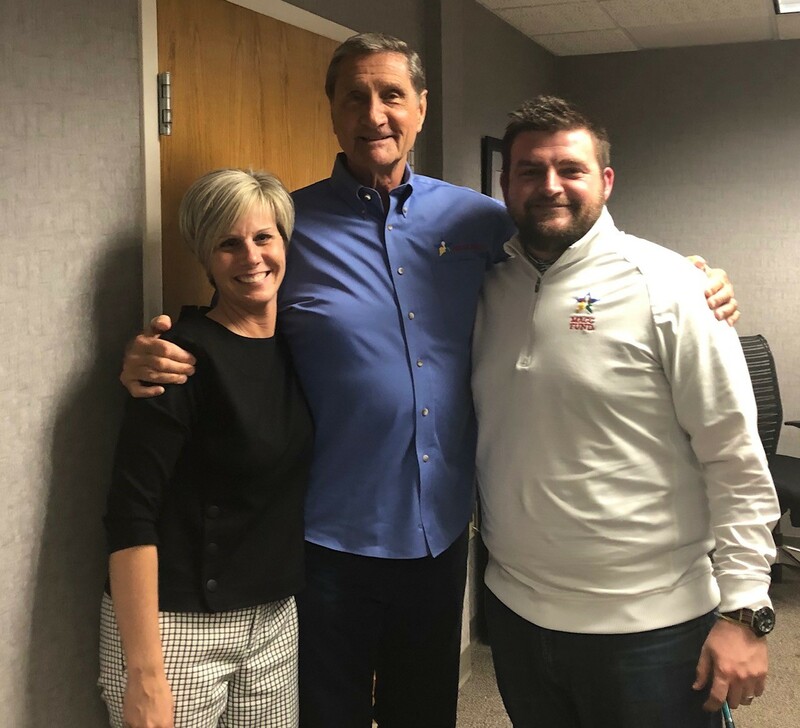 On April 4th and 5th our team sat in a comfortable studio in Milwaukee, WI, answering questions and accepting donations during the Bob & Brian Radiothon hosted by the Milwaukee Radio Group. Considering this was the 11th annual Radiothon, it’s safe to say that Bob and Brian have long been supporters of the fight to cure childhood cancer and related blood disorders. What many don’t realize is exactly how long the day is for our comedic hosts; talking non-stop for twelve hours can’t be easy, yet you’ll never hear a complaint. Bob and Brian always have a great time doing the Radiothon; and of course, the cause is as dear to their hearts as it is to ours. 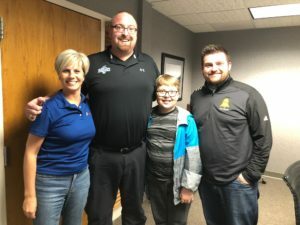 Over the course of two days, the hosts spoke with several special guests, like Brewers Hall of Famer Robin Yount, 2018 National League MVP Christian Yelich, and Bucks legend, and famous MACC Fund co-founder, Jon McGlocklin. 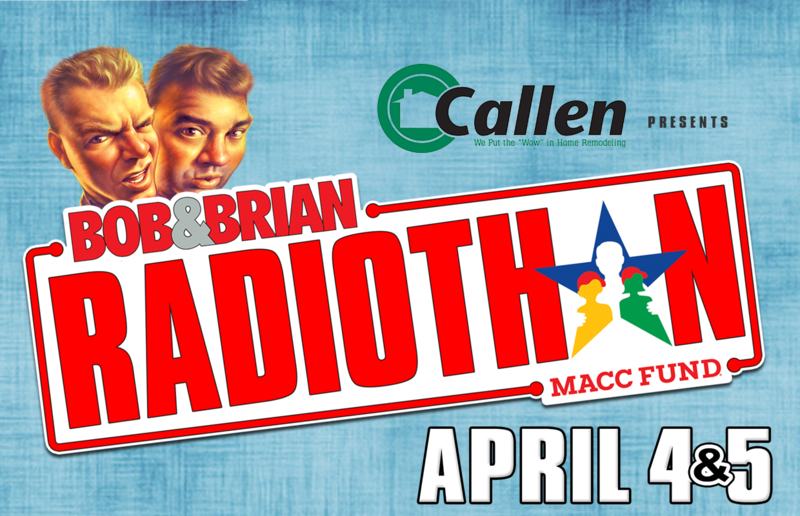 The Radiothon included a silent auction with some amazing items up for bid, like a foursome in the Bob & Brian OPEN 2019, an autographed Aaron Rodgers football, and an all-inclusive vacation to Riu Negril in Jamaica. Donations were also made, with t-shirts for supporters who donated over fifty dollars. All donations and bids benefit the MACC Fund and our mission. Childhood cancer survivor Tim Kujawa, who was diagnosed with Ewing’s Sarcoma when he was just nine years old, also made an appearance on the show. Tim shared his incredible story, including the loss of his left arm just above the elbow when he was young. Tim became involved with the MACC Fund when he met Jon McGlocklin and John Cary at Children’s Hospital of Wisconsin. The event raised over $88,000 thanks to CD sales, silent auction items, and generous donations from our supporters.